Calling all side sleepers: Eli & Elm has a pillow designed just for you! 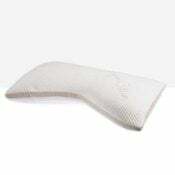 This foam- and fiber-filled, adjustable pillow has a unique curve that leaves room for your shoulder and allows your head and neck to be supported all night long. 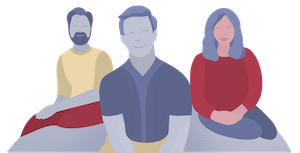 How does it feel and what else should you know about it? Check out my complete review below! 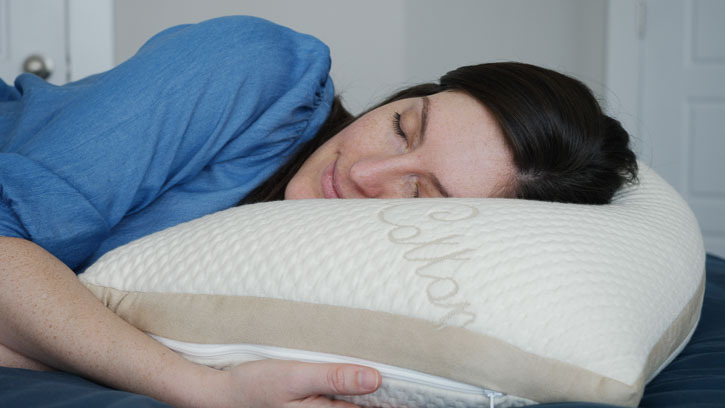 The Eli & Elm Organic Cotton Side Sleeper pillow is designed for side sleepers with its curvature and offers great support with its latex foam and polyester fiber combination. The pillow is made by bedding brand Eli & Elm. 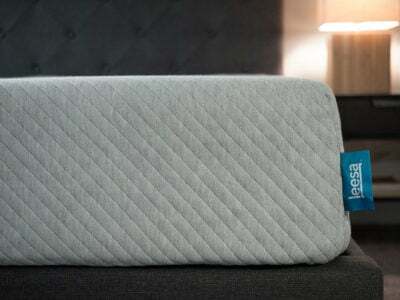 This is one of two pillows they make but the only one recommended for side sleepers. In addition to its bamboo sheets, Eli & Elm also has two sheet collections, one featuring bamboo and the other featuring cotton sheets with Phase Change Material (PCM). 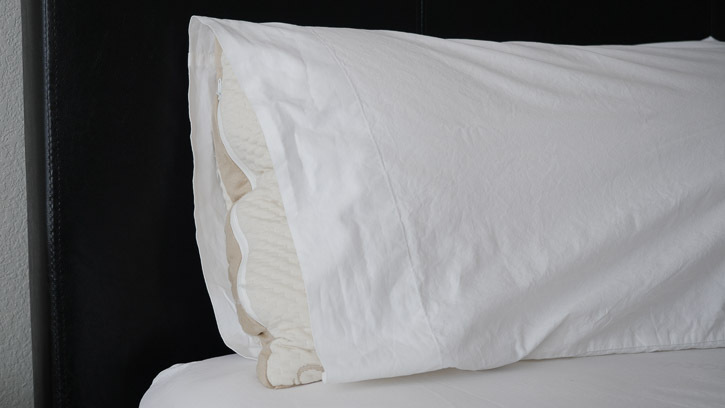 The outside of the Eli & Elm pillow is 100% organic cotton with a small bit of polyester along the gusset of the pillow. The filling inside is a mix of latex “noodles” or small pieces and polyester fibers. You can access the pillow filling via a zipper on the side. The pillow has a unique design. 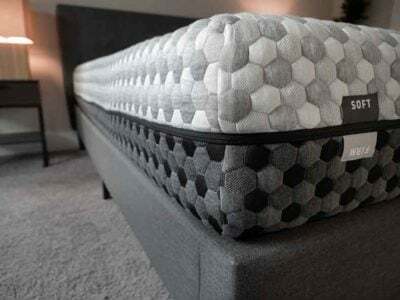 One of the long sides has a curvature that is intended to carve out space for your shoulder so the pillow is supporting just your head and neck. At the moment, the pillow comes in one size. There is no dimensional information on the tag and I also couldn’t find that info online, but the pillow appears to be the width of a Queen size/standard pillow but a little bit longer than a Queen size (some of it was poking out of a Queen size Eli & Elm pillowcase). 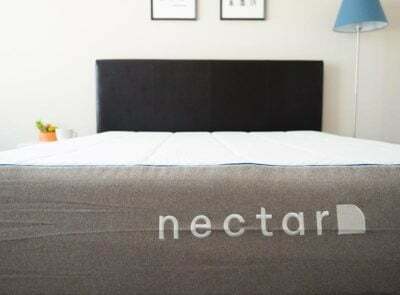 I was pleasantly surprised by how much I liked this pillow and how the curvature really did work well to support my head and neck when I slept on my side. The pillow looks almost exactly like a traditional pillow except for this curved aspect. This makes it a little bit of a weird fit when you put on a pillowcase, but side sleepers may find it totally worth it. The outer cover is a super-soft knit with a little bit of texture but nothing that is noticeable or uncomfortable on the side of your face. For those with skin sensitivities, Eli & Elm says the fabric is hypoallergenic and antimicrobial, which is definitely a plus! I’m primarily a side sleeper, but I do end up on my back or stomach occasionally. 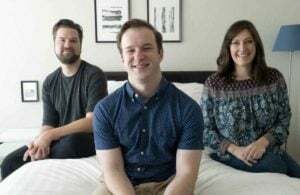 I felt that the pillow could work for both back sleepers and side sleepers, but stomach sleepers are really going to feel that neck strain with that lack of support on their upper chest. The filling itself is an interesting mix of little latex “noodles” or latex pieces and polyester fibers. The latex is bouncier and more responsive than a more traditional memory foam feel, so you’ll get lots of good support with this pillow. 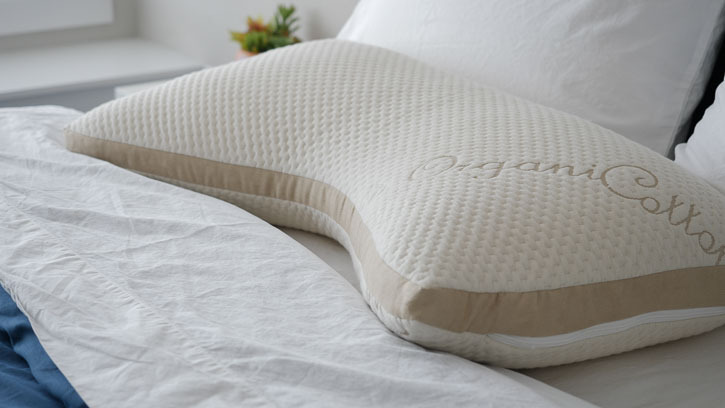 When combined with polyester fibers, the pillow has a smoother, softer, more “downy” feel to it. A lot of people call this combo of foam and fiber a “best of both worlds” type of pillow filling. 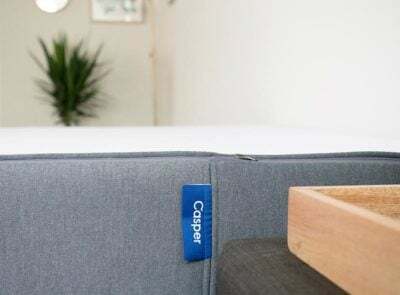 The foam pieces mean the pillow won’t fall flat on you anytime soon, but you’ll probably want to hand-fluff it on occasion so it maintains its nice loft and firmness. 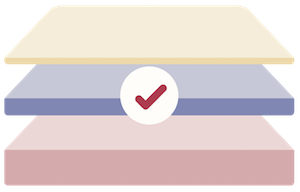 Of course, one of the nice features of the pillow is that it’s adjustable, meaning you can take out (or add back in) as much of the combination latex foam piece/polyester fiber filling as you need to find your perfect firmness and loft. It will be a little messy, so try to do this outside and have a plastic bag handy to store the extra filling. I’m a larger person than Katie and more of a side sleeper. As the title suggests, this is a side sleeper pillow so it is made for someone like me. I can say that the pillow feels very nice when I am on my side. My head sinks in just the right amount, and I don’t feel smothered by the pillow whatsoever. When I am back sleeping, the pillow is a nice match for me. I feel a good balance of comfort and support. Also, my head sinks in but not too far. However, when I am on my stomach, I feel like the pillow is pushing my neck up at an uncomfortable angle. The Eli & Elm also has a nice feel. It has latex in it so the pillow is bouncy and responsive. When I did move between my back and side, I had no real issues. I think the design of the pillow will work well for true side sleepers. It has the right feel in the filling, the right curvature to keep your neck and shoulders comfortable, and it’s adjustable. 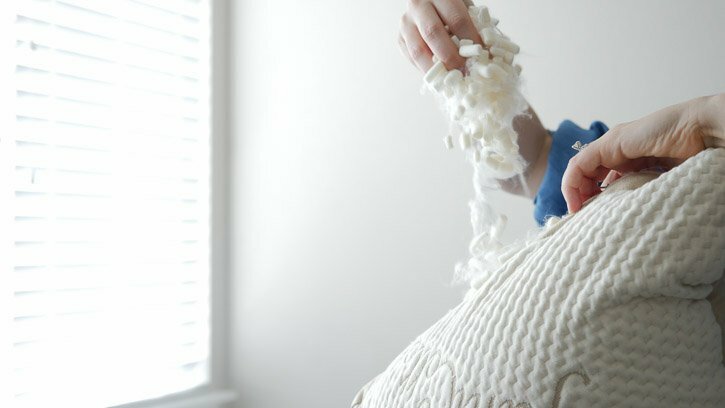 At $99, it’s not in everyone’s budget, but if you like that feeling of both foam and fiber and want something new, I’d recommend looking into this pillow.